LONDON - British police made a new arrest Thursday in the country's tabloid phone hacking scandal, amid fresh scrutiny of Rupert Murdoch's media empire after newly disclosed documents appeared to contradict testimony his son and top aide gave to U.K. lawmakers. Police in London confirmed a 38-year-old man, who they declined to name, was arrested at a London police station after he arrived voluntarily Thursday. He is the 13th person to be arrested so far in the saga — only one of those arrested has already been cleared. Britain's Guardian newspaper reported the man was James Desborough, formerly the Los Angeles-based U.S. editor for the now-shuttered News of the World tabloid. The newspaper said his arrest was related to activities that took place before he moved to the United States. Both News International, the British division of Murdoch's News Corp. empire that owned the tabloid, and London police declined to confirm that Desborough was the suspect now being questioned. "We are fully co-operating with the police investigation and we are unable to comment further on matters due to ongoing police investigations," News International said in an emailed statement. 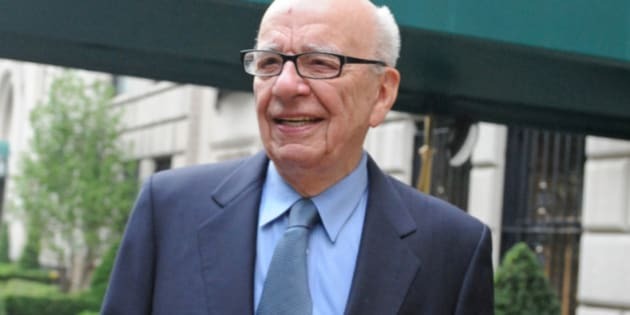 But the disclosure earlier this week of new documents in the phone hacking case has piled new pressure on Murdoch and his son James Murdoch, who oversees News International. Correspondence published Tuesday by British lawmakers investigating the scandal suggested that executives were warned more than four years ago that phone hacking was endemic at the now-defunct tabloid. The company had previously insisted the practice was restricted to a single reporter. The charges were made in a letter written by Clive Goodman, the ex-News of the World journalist whose jailing in 2007 on phone hacking charges first brought the practice into the spotlight.